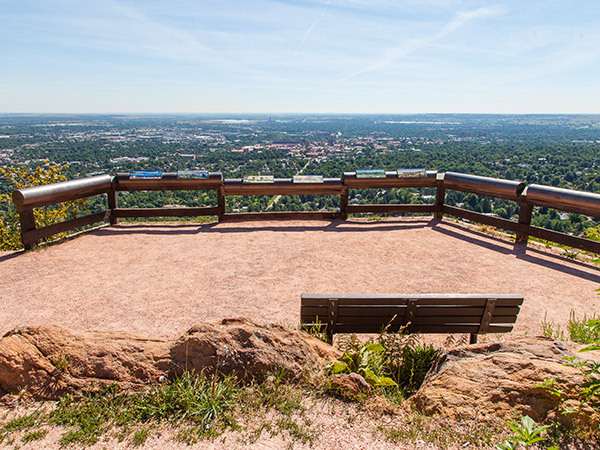 Comprised of more than 45,000 acres of rugged land, this network of parks and open spaces functions to preserve and provide access to natural areas, prevent urban sprawl, and frame Boulder’s mountainous backdrop. 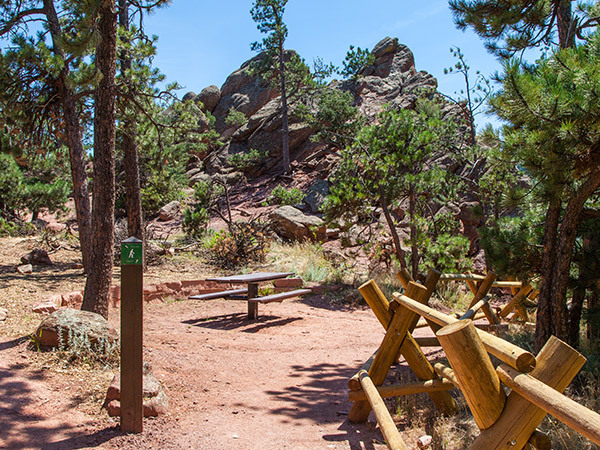 The first acquisition of land for parks in Boulder came in 1875 with the purchase of a two-acre parcel in Boulder Canyon followed by the 80-acre acquisition of former agricultural lands for the construction of Chautauqua Park in 1898. 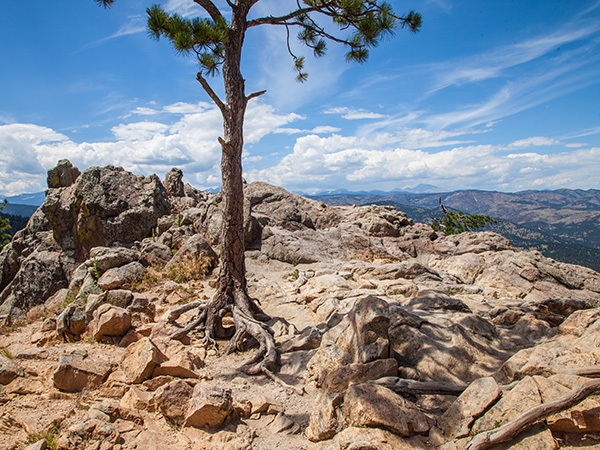 Five years later the Boulder City Improvement Association was formed to oversee land acquisition. 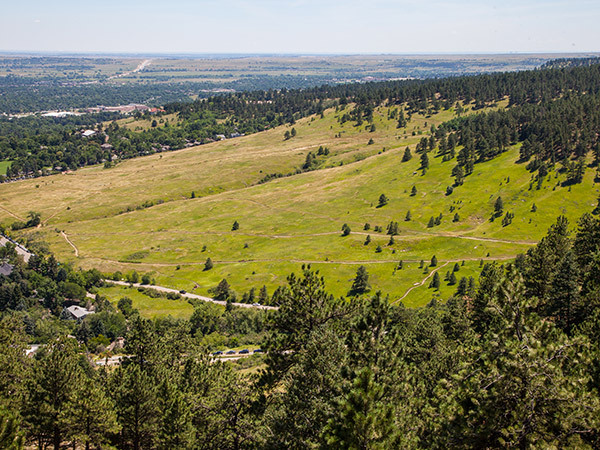 In 1907 Congress gifted the City a 1,600-acre parcel on Flagstaff Mountain and five years later Boulder added an additional 1,200 acres. 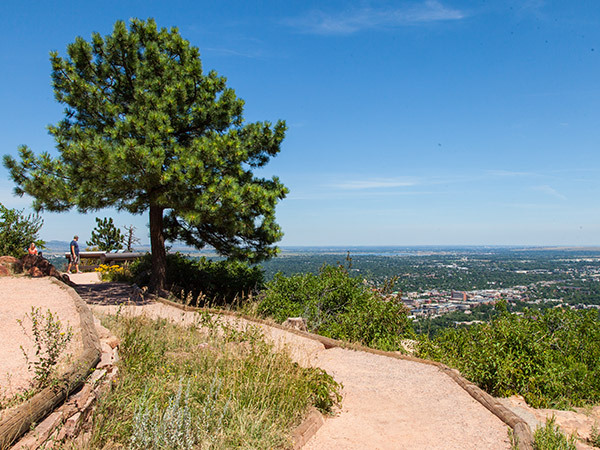 In 1910 Frederick Law Olmsted, Jr. published a report that urged community leaders to protect the vast tracts of land surrounding the city. 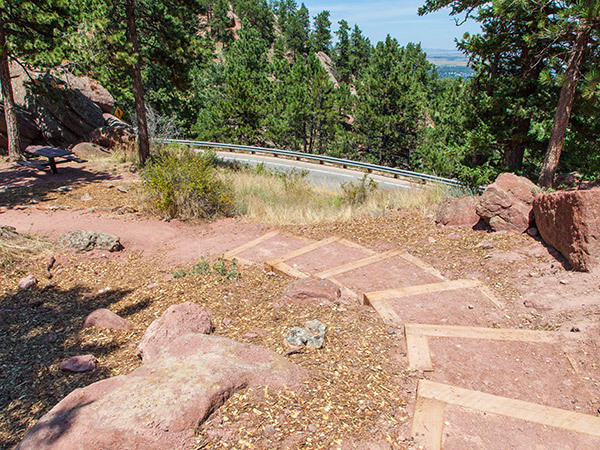 Stressing the importance of maintaining the natural condition of the forest, plains and rocky outcrops, Olmsted’s plan recommended that roads, trails, camp grounds, and picnic areas be laid out over a period of years. 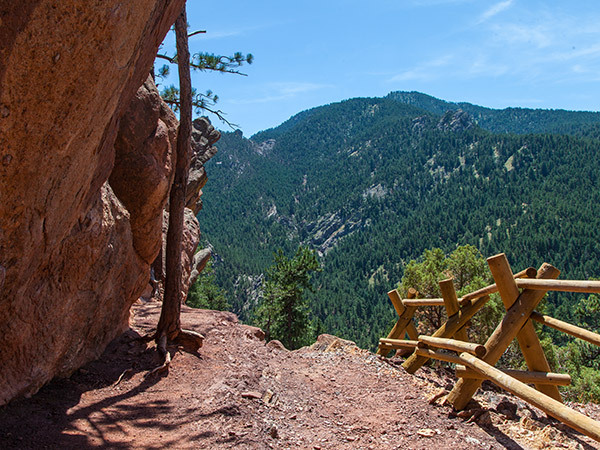 Between 1933 and 1935 the Civilian Conservation Corps (CCC) was enlisted to improve the forests, stabilize slopes, build more than 25 miles of trails, and construct shelters, guardrails, and fences. 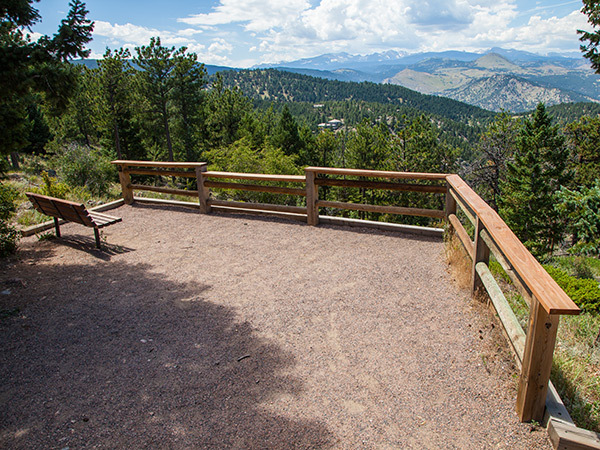 The CCC also constructed the Green Mountain Lodge, Sunrise Amphitheater, and a structure at Panorama Park. In 1967 the City approved a tax measure for the purchase of additional land and has since added 400 distinct parcels. 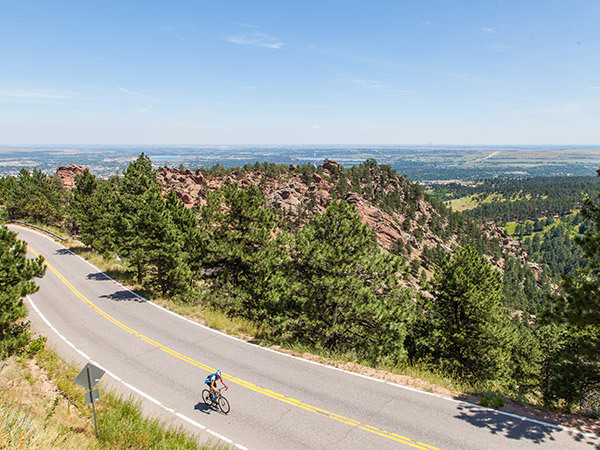 Today Boulder’s Open Space and Mountain Parks preserves total more than 45,000 acres and 145 miles of trails surrounding the city.